Ronald Gonzalez's artistic path began by creating figures out of dirt and sticks in the woods around his house as a young man. 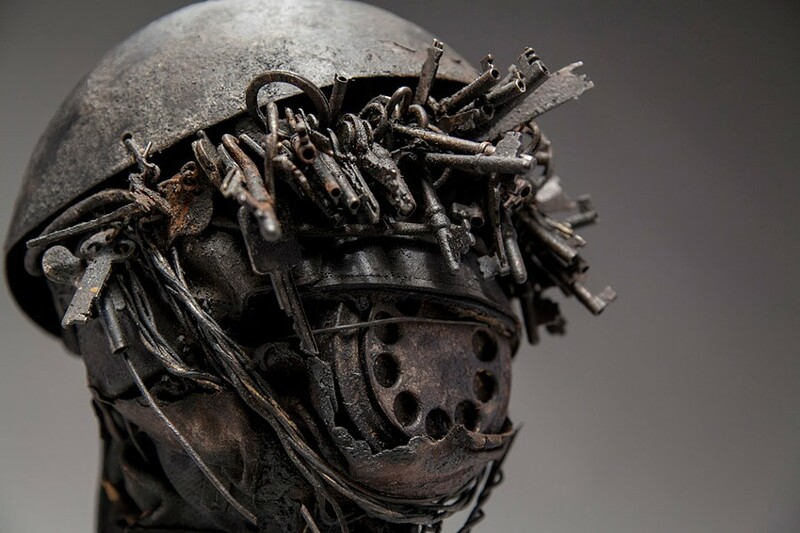 Now, he sculpts his figures by manipulating wire, wax, found items, and metal until his sculptures convey the "existential angst of the human condition," according to the statement on his website. Channeling present-day politics and society into his work, the sculptor and Binghamton University art professor imitates the human figure in his work. This exhibit will exhibit his latest figures and creations. Ronald Gonzalez: Recent Sculpture will be on display at Nazareth College's Colacino Art Gallery (4245 East Avenue), Friday, September 16, through Saturday, October 22. The gallery is open Wednesday through Sunday, from 12 p.m. to 5 p.m. An artist reception will be held Friday, September 16, 5 p.m. to 8 p.m. For more information, contact 389-5073 or visit artscenter.naz.edu.